If you would like to participate in the upcoming Yarducopia season in Anchorage, please sign up here (you may sign up for all three! Yarducopia is a program of Alaska Community Action on Toxics (ACAT), a small non-profit based in Anchorage, Alaska. We promote safe gardening practices through a model system for organic, regenerative, and community based gardening. 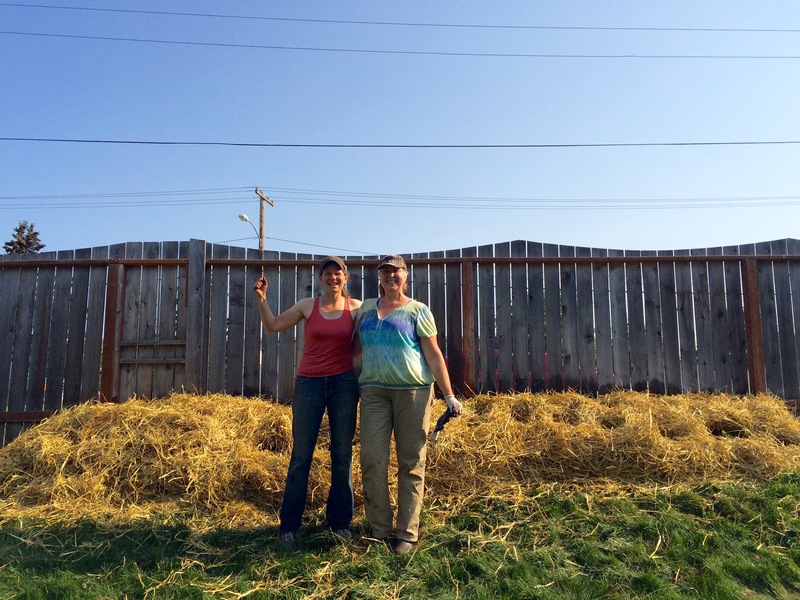 Yarducopia works directly with members of the Anchorage community to build gardens and reconnect people with their food. We pair homeowners who donate yard space and tools with volunteers who want to learn organic gardening techniques. The produce grown is split between homeowner and volunteers, saving ten percent to be given to a charity of their choice. Through hands-on workshops, Yarducopia builds the skills of Anchorage residents to grow their own food free of chemical fertilizers and pesticides. During the off-season, Yarducopia works to motivate public support to implement local, national, and international policies to ban harmful agricultural additives and promote regenerative agrarian practices. To find out more about our progress so far this year, visit the blog tab on our website, or like our page on Facebook. Information on ACAT, expectations for Yarducopia participants, donation guidelines, and other forms are available here. When can I set a date for my garden build? Is jessie still willing to be my gardening partner? I will be out of town may 17-29 but anytime before or after that. Hi Ann! We at Yarducopia are finishing off a term of grad school this week. Next week we will begin contacting potential matches to see who’s ready to build a garden, and as soon as we have cardboard and manure ready we will get to work. If you don’t get an email from me by Tuesday of next week, email garden@akaction.org to schedule your build! We can certainly schedule for before you go or after you get back, depending on your needs. If you just need plants, since we’ve added to your beds last year, we will schedule for after you get back, since we don’t pick up our plant starts from the Persistent Farmer until May 19.